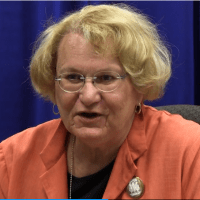 The City of Palm Springs, California has sworn in a man who identifies as a woman, as well as a woman who identifies as bisexual, making its city council all-“LGBT” as its other three members identify as homosexual. Lisa Middleton, a man who identifies as a woman (pictured), and Christy Holstege, an attorney who identifies as bisexual, were both sworn in on Wednesday after being elected last month. They join Mayor Robert Moon and Councilman Geoff Kors, who both are “married” to men, and Councilman J.R. Roberts, who likewise identifies as homosexual.